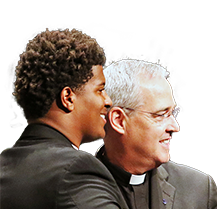 Jesuit High School's tradition of excellence in athletics is second to none in the Tampa Bay area and among the very best in Florida every year. The Tigers perennially rank at the top of the Florida High School Athletic Association's athletic and academic rankings among all Florida schools. 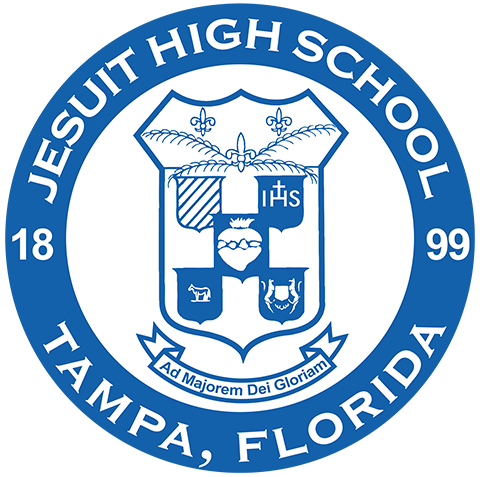 In 2017-18, Jesuit teams again placed 1st among all Tampa Bay-area boys sports programs in the FHSAA’s All-Sports Award standings, more than doubling the point total of runner-up Palm Harbor University. The Tigers also placed 2nd among all Class 6A schools in Florida, and 5th overall among all schools in all classifications statewide. Jesuit has won 47 District titles in 60 opportunities the past five years. Leading the way for the Tigers in 2017-18 was the State Champion swimming team (head coach Bill Shaffer), the District and Region champion golf (Nico Hohman '07) and tennis (Joe Curtis) teams, and the District champion baseball (Miguel Menendez), basketball (Neal Goldman), lacrosse (Ryan Henry), soccer (Eric Sims '95), and wrestling (Sal Basile) teams. The Tigers also captured the FHSAA’s Academic Team Champion Award (ATC) among all boys programs in their classification for the third straight year in 2017-18. Jesuit athletics was led academically this school year by six teams that finished 1st, 2nd, or 3rd in their respective sports and classifications. Placing 1st were basketball, football (head coach Matt Thompson), and soccer. It marks the second straight year basketball, football, and soccer took top honors, though soccer was officially recognized as finishing second in 2016-17 by a tiebreaker procedure. Finishing in 2nd place academically in 2017-18 was Jesuit's State Championship swimming team, and earning 3rd place were wrestling and track & field (Andy Wood '92). Cross country (Jim Ranieri) finished with Jesuit's best unweighted team GPA, edging out soccer 3.673 to 3.666, with swimming in 3rd (3.609). 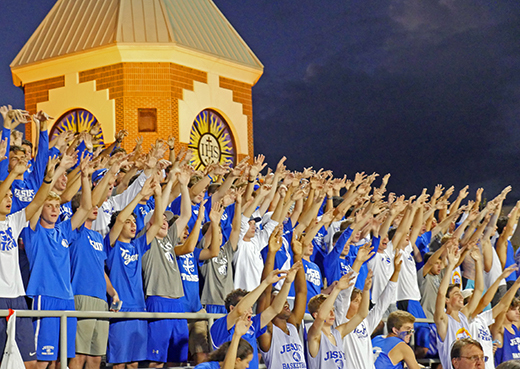 Jesuit athletics is comprised of 22 teams in 12 sports - 12 Varsity, 7 JV, and 3 Freshman squads. Tiger teams have combined to win 20 state titles in seven sports: soccer (6), baseball (4), cross country (4), basketball (3), football (1), track & field (1), and swimming (1). The athletic program involves student assistants in training, managing, announcing, live streaming, timing, and scoring. 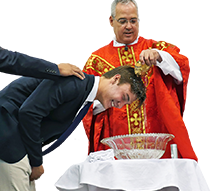 Interscholastic athletics are an important part of the total formation of Jesuit students, and every student is encouraged to participate in some way. Jesuit teams uphold the highest standards of sportsmanship, and Jesuit athletes compete for the greater glory of God, Ad Majorem Dei Gloriam (AMDG). The Florida High School Athletic Association (FHSAA) requires several forms, including a completed Preparticipation Physical Evaluation form, a Consent and Release from Liability Certificate, and a Concussion & Heat-Related Illness form, be on file with the Athletic Director prior to the student-athlete’s participation in any sports activity. These athletic forms all must be provided annually. Click here for all mandatory FHSAA forms in one PDF file. Deadline: FHSAA athletic forms all must be received by the Jesuit athletic director no later than the Thursday before the first day practice in order for students to participate in that practice. If forms are turned in after that, they will be processed as they are received and participation will not be permitted until the forms are processed. Please contact athletic director Terry Rupp at (813) 877-5344 ext. 612 with any questions. 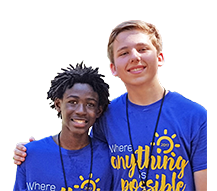 Schools are required by state law to have on file every student’s health record (Goldenrod Form DH3040, available only from a physician’s office or the health department) for the year of the student’s entry. We are also required by law to have a certificate of immunization (Blue Form DH 680) also available only from a physician’s office or the health department). Jesuit’s Registrar handles receipt of these forms. If these forms have not been received, the registrar will contact you. The Health Department will close down a school that does not have these forms on file for every student. 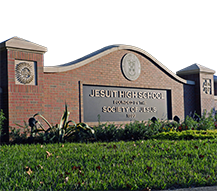 Jesuit High School has more than 100 years of athletic excellence. 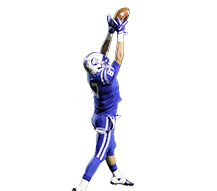 Since humble beginnings at the turn of the 19th century, Jesuit's athletic programs have developed, through the decades, into nationally recognized championship contenders. These classic photos offer a glimpse of Jesuit's storied athletic history. Al Lopez Sr. '27 was Florida's first professional baseball player. He is the namesake for Jesuit's Al Lopez Sports Complex. Jesuit's 1943-44 basketball team won the Southwest Conference Championship. 1959 basketball - No. 4 is professional baseball legend Lou Piniella, who was a basketball star at Jesuit. Running back Leonard George - 1968 State Champion football. The first African-American to receive a scholarship to play at the University of Florida. Coach Paul Straub during the construction of Jesuit's gym in 1961. Straub served Jesuit for 42 years as coach of several sports, and also as athletic director, alumni director, and teacher. 1980 baseball. Dave Magadan is in the back row, fifth from the right. Magadan spent more than a decade playing for several MLB teams. 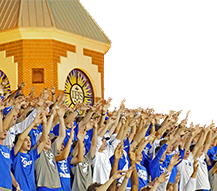 Jesuit High School is home to the area's premier high school athletic facilities, providing student-athletes with state-of-the-art venues, top training equipment, updated locker and shower facilities, and an aesthetically stimulating athletic environment. 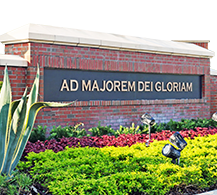 Jesuit's on-campus facilities include the Al Lopez Sports Complex, Alumni Track & Field at Corral Memorial Stadium, the nationally recognized Paul Straub Field at Hyer Family Park, The Oliva Weight Room, The Agliano Training Room, and the Hamilton Locker Room. Alumni Track & Field at Corral Memorial Stadium features a state-of-the-art synthetic playing field, which was resurfaced in 2015, and rubberized track surface. The playing field is used by the football, soccer, and lacrosse programs. Paul Straub Field at Hyer Family Park was named field of the year by the National High School Baseball Coaches Association. Its dimensions are 320 feet down the lines and 380 to center, and it is perhaps the finest athletic facility in the Tampa Bay area. The Al Lopez Sports Complex houses the gymnasium (a.k.a. Tiger Palace), The Oliva Weight Room, The Agilano Training Room, The Hamilton Locker Room, the wrestling facility, additional locker rooms and shower facilities, physical education classrooms, and Athletic Department offices. The south side of the Al Lopez Sports Complex overlooks Alumni Track and Field. The Oliva Weight Room inside the complex is equipped with elite, well-maintained equipment and features high, arched windows that overlook Alumni Track and Field and Corral Memorial Stadium, providing an inspirational view of the playing fields and stadium area. The Tigers' Den on the south side serves as the athletes' entrance to the locker room and training areas.